Please contact our HIT office for any questions regarding registration for this camp. Note the separate registration options for either the two-day camp or the per-day option. We look forward to seeing you there! HIT at Legacy is partnered with MINDBODY to help make the registration process seamless! Follow the link below to our online registration. Please enter the participant’s information in the registration form, not the payee’s. Any questions, don’t hesitate to contact our office! 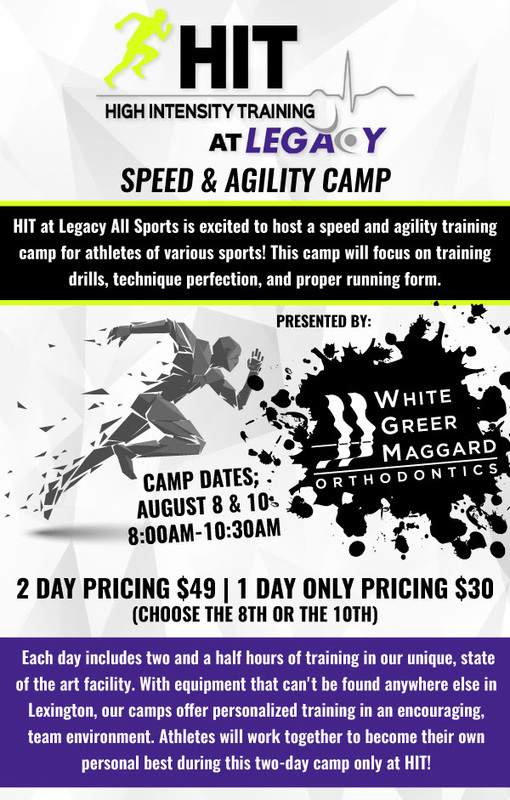 Give us a call at (859) 469-9804 or e-mail HIT@legacyallsports.com for help with the registration process.